New York University School of Law, J.D. Morehouse College, B.A. Steven Henderson has extensive experience in domestic and cross-border mergers and acquisitions, private equity investments, securities offerings, joint ventures, and real estate transactions. 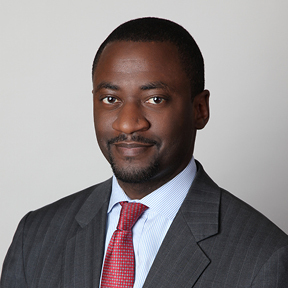 He has been involved in complex transactions with sophisticated clients, both as an attorney at leading international law firms, and as in-house corporate counsel at the nation’s largest hospitality company. Throughout his career, he has advised funds, corporations, and financial institutions in a wide variety of industries. Represented a national publicly traded health insurance company in its $2.9 billion acquisition of an owner and operator of health maintenance organizations and provider of related health and administrative services. Represented an international insurance company in the sale of its U.S. auto & home insurance business for approximately $2.15 billion. The sale involved a complex combination of stock and reinsurance transactions. Represented a global financial services, media, and corporate information company in connection with its $175 million acquisition of a strategic financial information company, in a cash and stock transaction. Represented a physician services company in its bankruptcy sale of its oncology testing laboratories to a global biotechnology company for $215 million. Represented a manufacturer, distributor, and marketer of tobacco products in connection with its recapitalization transactions and ongoing ’34 Act filings. Represented a global mining company in connection with the proposed investment by a Chinese company for $19.5 billion. Represented a British multinational engineering and information technology company in its $650 million sale of its metering business. Represented the largest bank in Serbia in connection with its EUR300 million sale to an international bank based in Italy. Represented an international insurance company in the sale of its Tokyo-based life insurance company. Represented the investment arm of a Hong Kong-based conglomerate in connection with numerous pre-IPO investments, including its RMB1.6 billion investment in a company engaged in operating and constructing underground commercial complexes in China, and its RMB200 million preferred equity investment in a mainland China waste treatment solutions company. Represented a Paris-based private equity fund in connection with its $1.5 billion take-private transaction of a Denmark-based global supplier of bioscience-based ingredients to the food, health, and animal feed industries. Represented a coalbed methane energy company that is publicly listed on the London Stock Exchange in connection with the issuance of a $50m convertible note and the issuance of a $45m convertible note. Represented a London-based private equity fund that exclusively focuses on Central and Eastern Europe, in connection with its acquisition of a publisher of IT books and magazines and its acquisition the leading e-commerce provider in the Czech Republic. Represented a New York-based private equity fund in connection with several proposed investments into Asia. Represented a national movie theater chain in connection with its $350 million Rule 144A offering of high-yield notes. Represented a textbook and education-related materials publisher in connection with its Rule 144A offering of high-yield notes. Represented a leading investment banking underwriter in connection with numerous high-yield note offerings, including its private placement of high-yield debt of the world’s largest private-sector coal mining company. Represented a digital security and surveillance company in connection with its approximately $88 million initial public offering of common stock and quotation on NASDAQ. Represented the Nordic region’s second biggest non-life insurer on its EUR838 million offering in connection with its IPO and listing on the Copenhagen Stock Exchange and private placement in the U.S. under Rule 144A. Represented investment bank in connection with equity listings of several special-purpose acquisition companies listed on London’s Alternative Investment Market (AIM). Represented global hospitality company in connection with numerous contemplated and completed real estate acquisitions and resort developments in Spain, Greece, Switzerland, London, Dubai, Thailand, Singapore, and China, including the acquisition of several resort properties that comprised the inventory for a new vacation points club business. Represented an international real-estate private equity fund in connection with numerous investments and joint ventures in the Asia region, including the joint venture and financing of an office building in Singapore. Represented a mortgage real-estate investment trust in connection with its out-of-court restructuring of its subordinated debt.